Customizable Cobalt Iceburg Large Corporate Gift is made from lead-free crystal. Promotional Cobalt Iceburge Business Gift features sturdy construction. 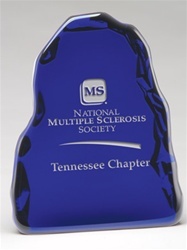 Customizable Cobalt Iceburg Large Corporate Gift is available in Glass Clear color.